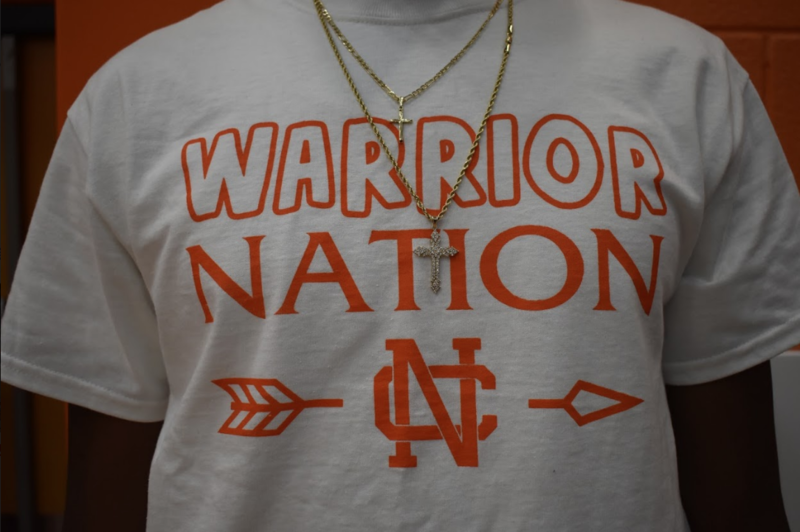 Senior Josh Hollis represents NC by wearing TC’s “warrior nation” shirt at the pep rally friday. Hollis and along with other members of TC plan the pep rallies and do a great job. With a week of dressup, basketball games, and a pep rally, the NC warriors welcomed back hoopcoming week. Throughout the week, students dressed up according to the theme of the day to show their Warrior spirit and creativity. 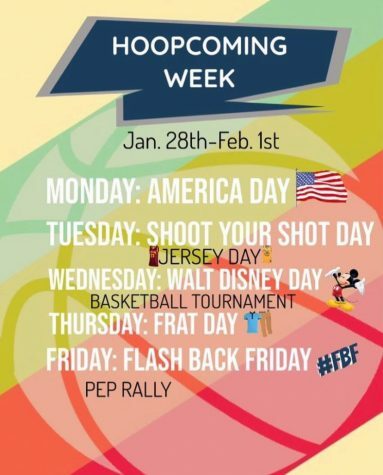 TC posted this photo on their social media along with flyers around the school to promote the upcoming dress up days of the 2019 hoopcoming week. Students and teachers participated by dressing up and showing their warrior spirit and creativity. Starting the week off strong with a win against North Paulding, the boys and girls varsity basketball continue to add wins to their season record. Boys clenched a close win, 47-45 to continue their winning season with 13 wins and 11 losses. This puts the boys basketball team at the number four seed in the region and gives them a great shot against their opponents. Dominating the season with 22 wins and only two losses, the Lady Warriors defeated the Lady Wolfpack 51-42. With high rankings in the region and in the state, the Lady Warriors go into their region tournament with high expectations. To finish the week, the Warriors faced the Kennesaw Mountain Mustangs. Ranked number four in the state, the Lady Warriors added another win under their belt with an end score of 64-26.The Lady Warriors move on to the region tournament starting Tuesday, February 5, ranked number one. “I am excited we have a great shot at winning, it has been a few years since we have had a region championship and we’re excited going into the tournament,” Head coach John Spenney said. 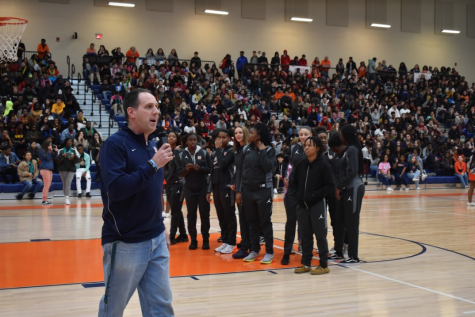 Head coach John Speeney introduces his varsity girls basketball and informs the students of NC of their upcoming games and the start of their region tournament. “I believe we have a great chance of winning region and go far into the state tournament,” Coach Speeney said. The varsity boys served another close win on Friday night, 56-48 against the Mustangs, and they will move on to the region tournament ranked number four with an overall of 14 wins and 11 losses on the season. The Warriors will play against Hillgrove on Wednesday, February 6 to determine if they advance to the region tournament. With another successful hoopcoming week, the Warriors ended with a pep rally during fourth period on February 1. Playing games, introducing spring sports and dancing along with the crowds, TC put on another fantastic pep rally with hosts senior Jacob Robinson and junior Shaylon Walker. A unique addition to the typical hoopcoming pep rally, students were given the opportunity to “shoot their shot.” Each volunteer had the chance to shoot a basketball into the hoop in three chances, and if successful they could shoot their shot with a box of chocolates and a rose to their “secret” crush. “It was extremely nerve-wracking, I swore I was going to miss all three. I’m just lucky the third one went in,” senior and participant Ben Schick said. 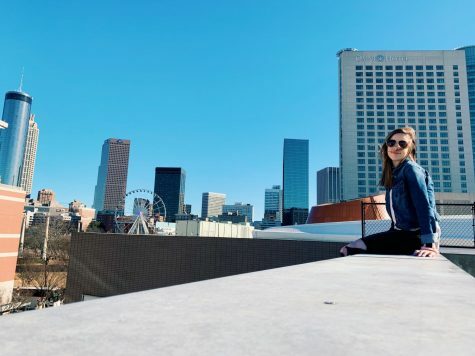 Although the basketball season comes to a close, with region tournament will start on February 5 with the state tournament following close behind. 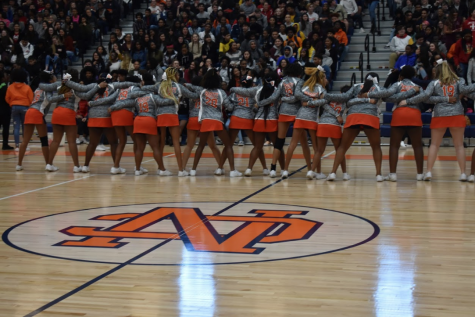 The Warriors made their 2018-19 season successful and expect great things from the underclassmen to finish off the season.